Choosing your wedding rings should be exciting! You are about to embark on a new journey with your soon to be husband or wife and your wedding ring should be a symbol of the love and unity you share with each other. Planning your wedding should be a pleasurable experience however, making decisions like this can sometimes be stressful. You want to make sure you make the right choice and that this ring that you will hopefully wear for the rest of your life is going to last that long! Before doing anything you should establish your budget. The worst thing you can do is to start to look at beautiful rings and then feel disappointed when you realize that you can’t afford them. Have a chat with your partner and establish your budget before really getting too involved with your search. Of course, if you are not already aware of the costs of wedding rings then it is sensible to start researching this and looking into how much the different types of rings cost. But do not get carried away and begin fantasizing over certain products before defining your personal budget. There are so many different options it is best to narrow your search down and decide upon the style of ring that you would like. Would you like Platinum or Gold rings? Or something with stones or Diamonds? Your budget may help narrow things down here but that should not be the only factor! Remember that your wedding ring is not something just to wear on special occasions, this is something you will likely wear every day and therefore what you choose should match your general style and appearance. Decide whether simple bands would be best or if you would prefer more intricate designs with hand crafted wedding rings. You must also consider whether you want your ring and your partners to match and whether it must match your existing engagement ring and jewelry. Take all these things into account to determine the style of ring you are looking for. As we have already acknowledged you will likely wear your wedding ring each day and therefore you need to make sure it’s designed is going to be durable enough to suit your lifestyle. For very active people Platinum is a good option because from all the different metals it is the most durable and less likely to scratch. If your work involves constantly using your hands then a solid metal ring might be best rather than one with stones that could more easily be damaged. A musician might find that a thick ring interferes with their instrument and they would be better off choosing something thin and smooth that will not aggravate their hobby. This is perhaps the most important thing! Once you know your budget, your style and you have checked that these options match your lifestyle you will be well on your way to choosing your wedding rings. What you must do from here is thoroughly check the quality of any items you are considering buying. Finding out that you bought a knock-off wedding ring with fake stones 2 years down the line is a horrifying thought. You can start by making sure that the ring has two important marks inside. The quality mark stating the quality of the metal eg: 24k and then the manufacturer’s trademark. It is also recommended when shopping for wedding rings to stick to well known and established jewelers who you can be 100% sure that you’re getting what they say you are. Remember that if the deal is nearly too good to be true then it probably is! 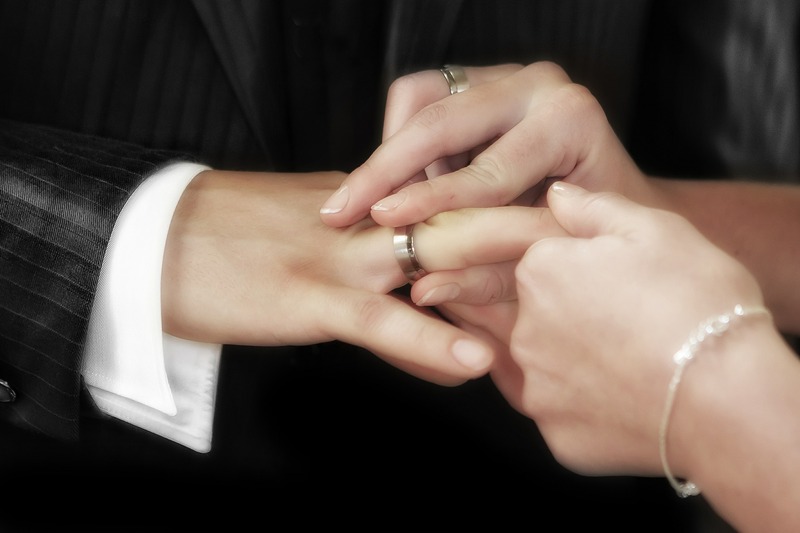 Most people do not take off their wedding rings and those that do can start to seem suspicious. Something that will be worn constantly, therefore, must fit perfectly. You should take into consideration how your fingers can swell in certain circumstances. While you do not want your ring too loose there should be a little bit of room so that when they do swell this will not cut off your circulation. This can happen during pregnancies where the ring has to be forcefully cut off. If you’re likely to gain or lose a significant amount of weight this should also be taken into account.